RFS has announced the availability of 1ft and 2ft Class 4 antennas with higher performance radiation characteristics according to ETSI EN 202217 Class 4 standards. 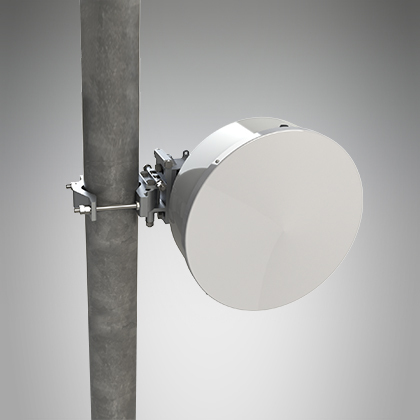 These antennas provide the market’s best RF performance and allow mobile operators to increase the link capacity of a network by deploying new microwave links where high levels of interference are present. While RFS’ high quality ETSI Class 3 antennas are sufficient for most of today’s network scenarios, Class 4 antennas will allow RFS customers to offer the highest performance in even the most congested environments. The higher side lobe suppression of SerenityLine antennas supports networks in ultra-dense areas and enables earlier reuse of frequencies. The lower interference increases the carrier-to-interference-ratio and allows smaller antennas with better link throughput, reducing tower leasing fees. The lower interference also enables higher modulation schemes, increasing the data capacity per antenna.